Thomas Hammer (b. 1985) is a New York-based artist known for his ink works on paper and acrylic paintings on canvas. His ink works, created with a unique tool that’s a fusion of a squeegee and a brush, are inspired by the spontaneity and vim of post-war action painting, though they employ a unique vocabulary of mark making. He creates a sense of depth through the variety of textures that vary between smooth and flowing, staccato and rhythmic. 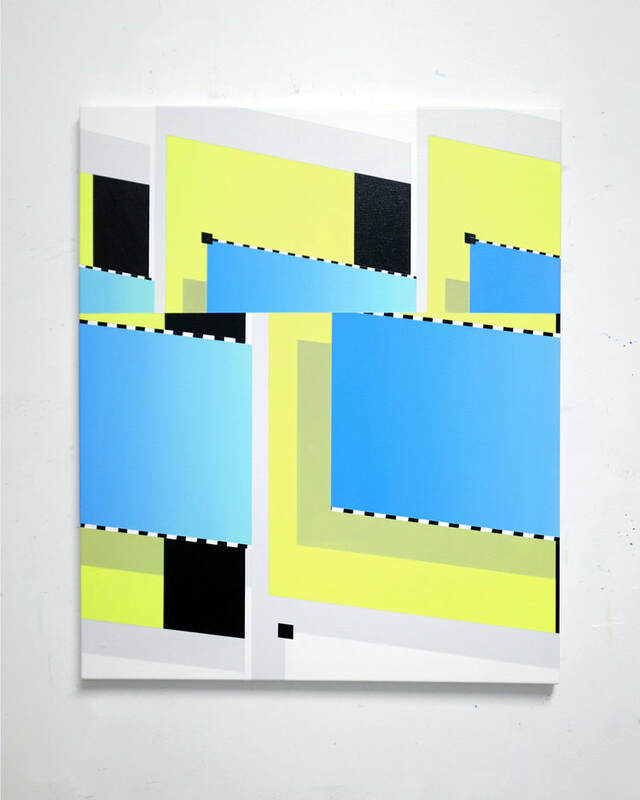 Hammer’s acrylic paintings on canvas contrast hard-edged geometric abstraction with a painterly touch. Mixing abstract and representational elements, his works are sketched digitally in Photoshop before being executed on canvas. These works explore the subconscious, but are inspired by modern art and the proliferation of images easily shared on the web - from advertising and popular music to film and social media. Hammer’s works have been published in Architectural Digest, and CoEval Magazine. He has exhibited at X Contemporary during Miami Art Week, at the Zhou B Arts Center with Parenthesis Art Space, at the Palm Springs Art Fair with Artspace Warehouse, at Art Southampton with Saatchi Art, and at the Affordable Art Fair with Sugarlift. Recently he debuted several new canvases at The Other Art Fair in Brooklyn, NY on November 9-12, 2017.